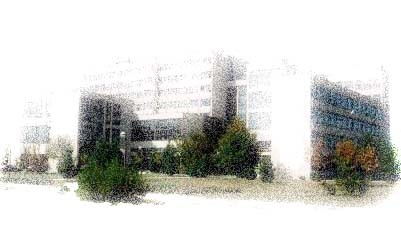 Embedded Systems Research Group is a part of the Department of Electronics at the Faculty of Electronic Engineering, University of Nis ( Serbia and Montenegro ). Our power point presentation can be taken from >>. Fault-tolerant systems (FTS). The first main goal of this project is to make designers comfortable with these issues, and able to exploit a vast opportunity that offers the reconfigurable logic. Modern ES architectures present new challenges to fault tolerant (FT) design engineers. The second goal of this project is to prepare design engineers how to set trade-off point between fault tolerance, performance, and low power consumption. Today, the power consumption of ESs is considered as one of the most important problems for portable devices. This is due to the limited cell battery lifetime. The third goal of this project is to navigate researchers towards design of efficient power management and energy harvesting circuitries implemented in ES devices. Wireless Sensor Networks (WSN) . The main goal of the project is to develop laboratory platform and test-bed for research and experimentation in wirelles sensor networks. Self-checking circuit design. The main goal of the project is to develop efficient self-checking methodologies and tools to act as an enabling technology for the design of fault-tolerant embedded systems. Our research page lists the research projects that we are currently involved in. Our publication page lists all our publications. The ESR group has the responsibility for a number of undergraduate and postgraduate courses which contain components of electronics, computer and embedded systems engineering. Our education page lists the courses that we currently teach. Currently ESR group has three full professors, one associate professor, three teaching and one research assistants. The research staff and students of the group have a science or engineering background in electrical engineering, telecomunications or computer science.